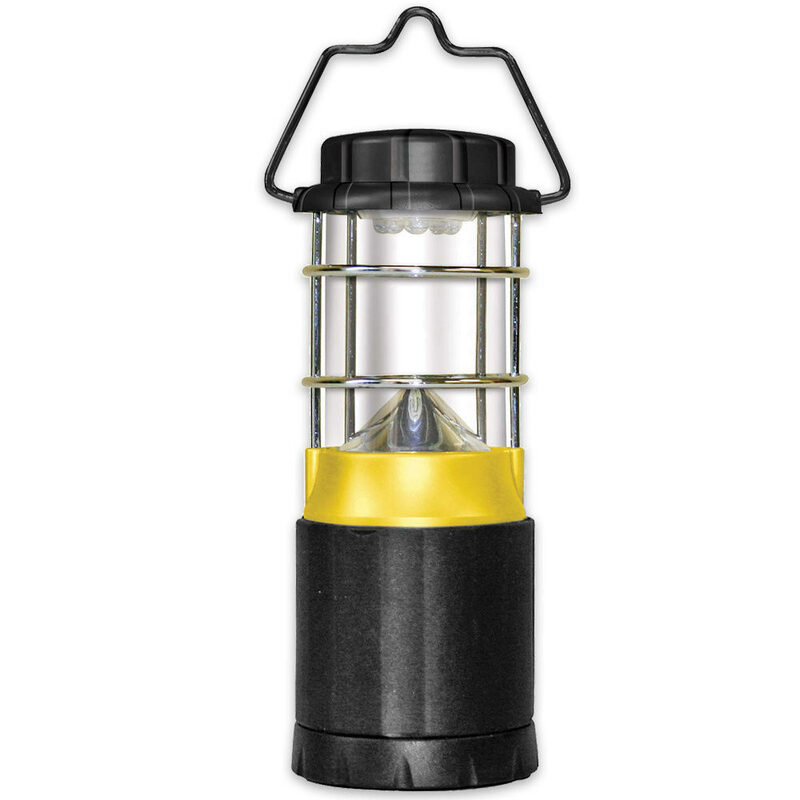 Our LED Survival & Camping Lantern is designed for camping or personal emergencies. It features 8 LEDs with a 17 lumen light output, making it possible to easily maneuver through the darkness when outdoors at night, or at home in an emergency situation. You can choose between 4 different light patterns: flashing red, solid red, area light, or energy saving light. This lantern has a 30 hour runtime and runs on 4 AA. Perfect to keep in your vehicle as part of a survival kit, or to use when camping. 5 3/4 in. height. Push button switch.